Condition: 8.5/10. Item in excellent condition. One careful owner. Low usage. With box. 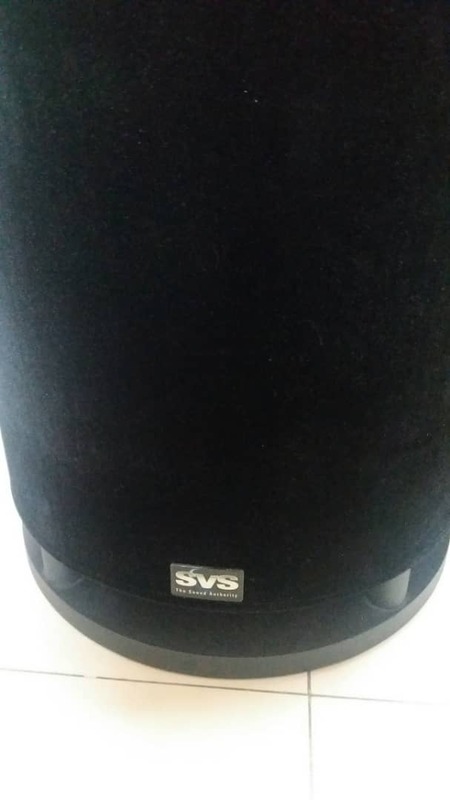 The original SVS subwoofer was a cylinder design, and this unique and elegant form factor has since become an iconic symbol of SVS performance heritage. 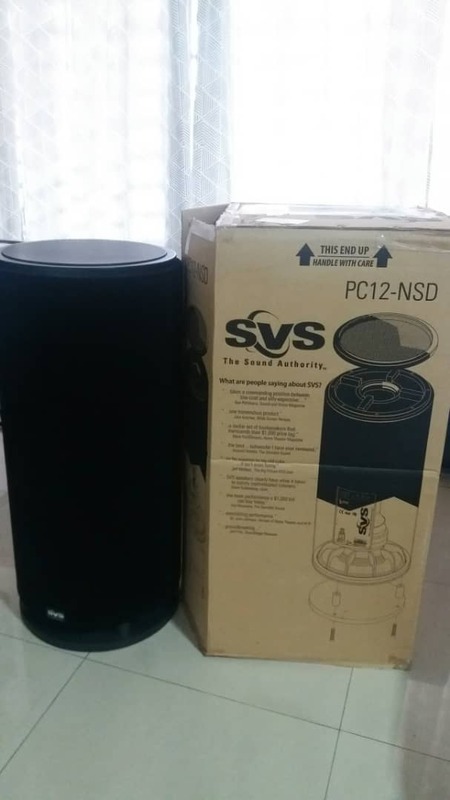 The SVS PC12-NSD subwoofer is the most affordable powered cylinder from SVS, but after experiencing its performance, no one would dare call it 'entry level'. 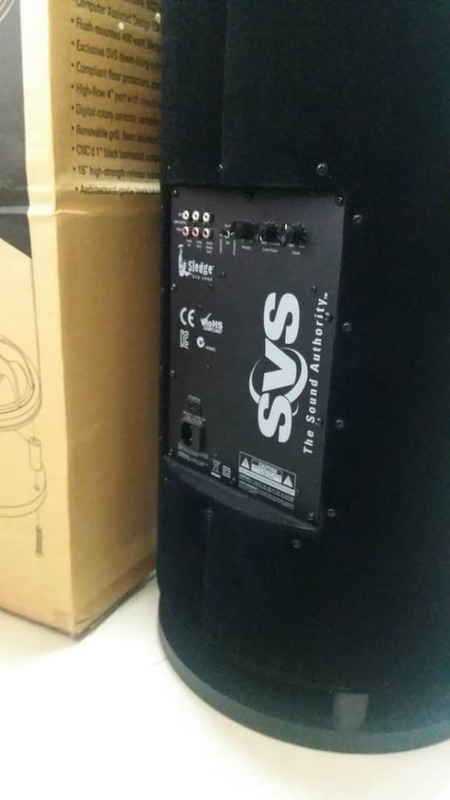 Every component reflects SVS performance pedigree, and the SVS PC12NSD obliterates over-priced and under-performing brick & mortar subwoofers, even at twice the price. Prepare to be pleasantly shocked at what the PC12-NSD will bring to your music and home theatre system - bass so accurate, detailed, dynamic, and deep that after one listen your old 'subwoofer' will be kicked to the curb. SVS never stops improving the breed, and their newest NSD-12 has even better all-round performance than its predecessor. A more linear force/displacement profile, improved transient response with less 'overhang', and even wider bandwidth elevate the SVS NSD-12 transducer to best-in-class performance. What does all this mean to the enthusiast? Tight, clean and accurate bass with lots of slam and impact - you'll be the envy of all your friends on movie night! SVS' Sledge STA-400D amplifier sports technology and features simply not found anywhere else at this price point. Starting with a conservatively rated 400 watts of DSP-controlled power - a perfect match for the rugged NSD-12 driver. You won't find old-fashioned analogue pots on this amp - every control knob is actually a digital actuator for precise and noise-free adjustment. And comprehensive and flexible connectivity options allow for easy set-up and integration into any home theatre or stereo system. 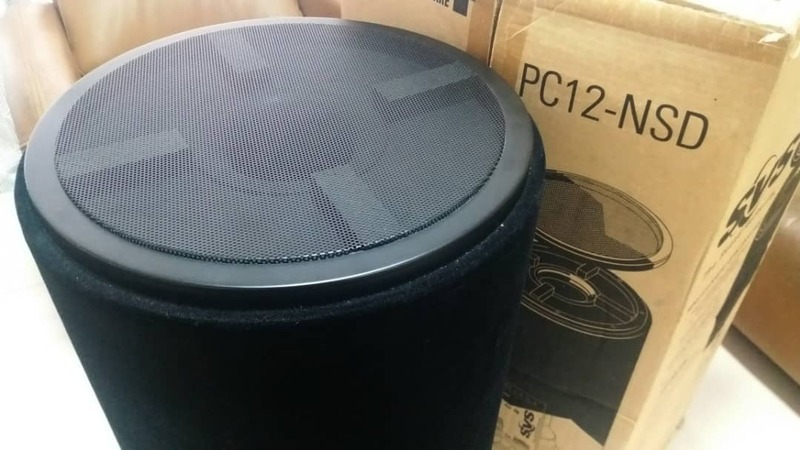 With only a 16.5" diameter footprint, the SVS PC12 NSD subwoofer will fit into almost any location, and no other subwoofer design offers more bass performance per square inch of floor space. Using vertical height to achieve a generous enclosure volume and a deep-tuned port, the result is excellent deep bass performance and outstanding mid-bass slam - all in a very manageable size. 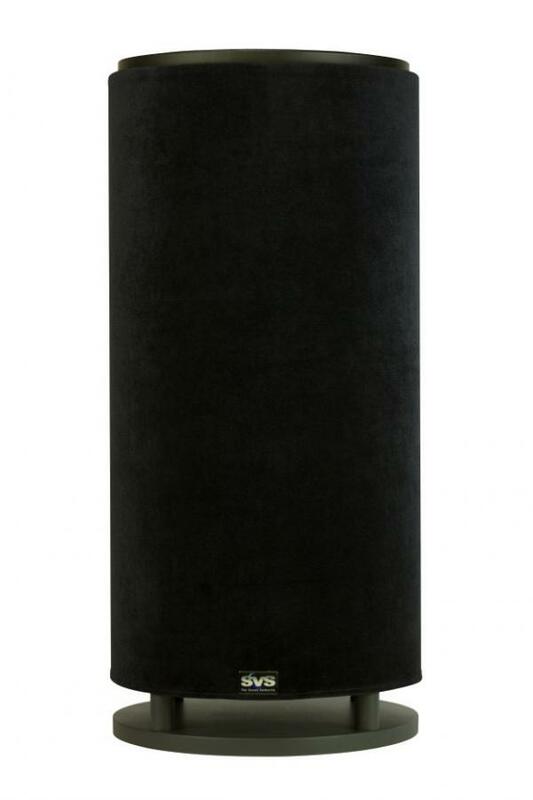 Finished in high-grade black velour fabric, this unique and elegant subwoofer will complement the most upscale décors and high-end theatres. The SVS PC-12 NSD offers famous SVS pedigree and performance at a shockingly low price. Upgrade to the PC12-NSD and leave your old retail sub in the dust. Revel in bass so superbly rendered, music and movies will never be the same - you'll be rushing to listen to your entire collection again for the 'first time'. Truly affordable world-class bass in a unique and slender form factor - only from SVS.